Mark Graban is an internationally recognized consultant, author, keynote speaker and blogger in the field of Lean healthcare. He is the author of the book Lean Hospitals: Improving Quality, Patient Safety, and Employee Engagement, which has been translated into eight languages. Mark also co-authored Healthcare Kaizen: Engaging Front-Line Staff in Sustainable Continuous Improvements. Both books are recipients of the prestigious Shingo Research and Professional Publication award. With a background in engineering and business, Mark found his calling in healthcare in 2005 and has worked ever since to help healthcare leaders create more engaging workplaces that lead to better patient care and service. He has spoken to and helped healthcare organizations throughout North America, Europe and Asia. Mark entered the healthcare profession when he served as a senior consultant for ValuMetrix Services, a group within Johnson & Johnson that taught and implemented Lean management and improvement methods with health systems. He then became a senior fellow with the Lean Enterprise Institute, helping another non-profit, Catalysis, ramp up its healthcare value network collaobration efforts. Since then, Mark has worked through his own company and the technology company KaiNexus. 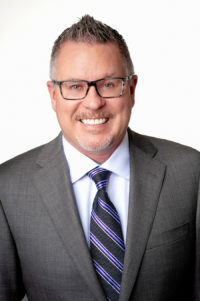 Previously, Mark worked as an industrial engineer for General Motors, a supply chain management engineer for Dell and was certified as a “Lean Expert” (Black Belt) by Honeywell.